Albion won a vital fixture after Florin Andone headed in a 79th minute winner. There was very little goal-mouth action in the first half aside from Ali Jahanbakash hitting the bar with a speculative 20-yard drive. Glenn Murray had a good chance just before the hour after latching on to a cross from Anthony Knockaert but Town keeper Jonas Lossl managed to intervene. Soon after, Murray was replaced by Andone and the Seagulls’ afternoon changed dramatically. The early timing of the substitution was not lost on Albion fans. 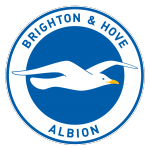 It wasn’t long before Andone had forced a superb save from Lossl as Albion swept the ball from wing to wing before it fell for Andone, who fired a brilliant goalbound effort from 20 yards which the Danish keeper somehow pushed away. Albion’s goal came after referee Mike Dean allowed Bernardo to take a free kick quickly. It had been won by substitute Jose Izquierdo. The ball found Knockaert whose perfect cross was headed home by Andone for 1-0. Albion players celebrated vigorously. Almost immediately after, though, Steve Mounie wriggled free but his goalbound header was tipped over by Maty Ryan. Albion were in control for the remainder of the match and had worthy penalty appeals for fouls on Bernardo and Andone turned down. The Seagulls’ win takes them five points clear of Cardiff and with a far superior goal difference. Albion next play in the Premier League when they visit Crystal Palace next Saturday (9 March).